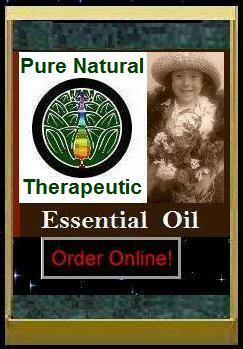 The newest trend for eco-friendly & natural (green) medicine cabinets all over the world is the use of essential oils. You dont need to be a practitioner or a Dr. to use Therapeutic Grade Essential Oils. They are easy to use on yourself and can be very helpful to incorporate into your medicine cabinet for any number of first aid, health and emergency issues. An essential oil medicine cabinet consists of essential oils tat are kept on hand to use for various types of needs that arise in daily life. They can be placed on a shelf in the bathroom, in the medicine cabinet, on your night table, in a basket, inside a special oils cupboard, in an oils pouch for travel or if your an "on the go" type of person you can kept in your purse or your satchel. Many people only think of essential oils as a pretty smell, or use them only as a natural perfume. There are many valued properties contained in essential oils that are used for healing and preventive health issues. Many Essential Oils repel virus, bacteria, other microbes and have antiseptic properties. If you have essential oils in your home and are not using them for first aid, you are overlooking a powerful tool that could help you or "help you help others" in all kinds of situations. When you begin or add to an Essential Oil medicine cabinet, the two very most important Essential Oils you should begin with or alredy have are: Lavender because its the Angel of Healing and Purification, and Tea Tree/Melaleuca because its the Miracle Oil as you will read about here. These two Essential Oils are simply the best oils to begin and to have in every "green" medicine cabinet! 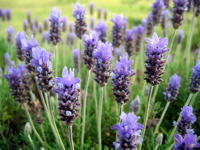 Lavender, True(Lavandula angustifolia) is the essential oil that most people identify with when they hear the term aromatherapy and is also considered the universal oil. It is simply a beautiful fragrance that can be described as a sweet floral-herbaceous fragrance. Its odor effect is calming and uplifting all at the same time. Lavender can be used in many emergency situations and is capable of treating minor burns and scalds  after applying cold water, apply Lavender directly to the burn (consult Dr. for more severe burns). Lavender is a natural antibiotic and antiseptic and effectively treats minor cuts and abrasions very quickly. Lavender is an excellent remedy for anxiety, emotional pain, depression, and stress because it is an antidepressant. Its also great for headaches  apply a couple of drops at the temples, and for helping with minor insomnia  place a drop on inside of each wrist and inhale. The great thing about Lavender is that you can apply it directly to the skin, unlike some other essential oils which need to be diluted in a carrier oil such as v. olive oil. Make sure to keep Lavender on-hand for emotional and physical first aid. Uses: Diffuser, Bath, massage, steam inhalations, sauna. 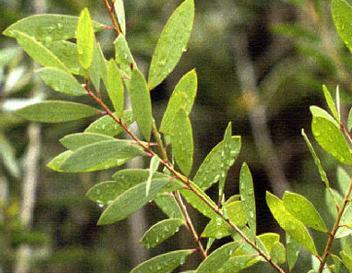 Melaleuca alternifolia (Tea Tree) is known as the Miracle Oil. This miracle oil has been used for centuries to heal everything from burns to cuts and you will find many more uses. Melaleuca comes from the Melaleuca (tea tree) in Australia and the essential oil is distilled from this tree so that the average person can easily and effectively use this oil. All essential oils share common beneficial properties that assist the body, mind or soul in the healing process. However, Melaleuca possess 3 incredible non-toxic properties that truly make it the Miracle Oil. It is anti-fungal, anti-viral and anti-septic all rolled into one incredible essential oil. Its scent is not as beautiful and intoxicating as Lavender, but can be described as a more medicinal scent  but refreshing and invigorating. Melaleuca has many aromatherapeutic uses and may also be applied directly to the skin as Lavender. Did you know that Tea Tree Melaleuca essential oil can help you to heal cracked skin and yellowed nails? It is also an emollient which helps to keep the skin moist and soft yet when used as an anti-fungal agent, it is an excellent remedy for athletes foot, (put some of this on it and watch your feet heal up in no time) candida albicans and warts. As an anti-viral agent it is very effective in treating and boosting the immune system and assists in healing colds, cold-sores and the flu. As an anti-septic is is excellent to treat minor cuts & abrasions, skin infections, skin irritations, tooth & gum infections, rashes and so much more. In addition to these great uses, you may also find that it works well to soothe and prevent acne when used daily, as it can inhibit the growth of bacteria on the skin and also helps to keep facial skin moisturized and balanced. When using tea tree oil for this purpose, you can either use it to treat blemishes by spot treating pimples as they pop up or you can use it as an anti-acne serum. When using it as a serum, apply to clean skin twice daily as you would any other acne serum and be sure to follow with sunscreen during the day. You may want to know that it could take a little bit longer to heal your breakouts and make them go away for good, but if you are patient and consistent in using this special oil, you will find that in time your skin will be smooth, soft and break out free forever. If you are skeptical or wondering how any type of oil can possibly work to heal the skin and prevent problems such as acne on many faces It may be due to the fact many of us were taught to believe that oil is bad for the skin and makes us break out, but 100% pure essential oils as well as Melaleuca (tea tree) are actually an obtained living life force substance that is non greasy. Many can be added to drinking water, rice milk, food, mixed into carrier and massage oils or many other substances. Thats why essential oils are so widely used. Melaleuca (Tea Tree) essential oil is a definite must have for any medicine cabinet! Uses: Diffuser, bath, chest rub, steam inhalation, massage. Make sure you have your Lavender, and Melaleuca (Tea Tree) essential Oil in your medicine cabinet for many of your first aid needs. Dont leave home without them  cuts, burns, abrasions, headaches, etc. can happen at any time. Are you ready to purchase your two must have band-aids? Order today! Your personal choices of emergency oils are suited to your own lifestyle. There are so many possibilities and everyone is different in what they need and what they prefer to use. For example, cuts and scrapes - there are many oils that you could choose to clean and disinfect the wound. Some choices could be: Lavender, Lemon, Melrose, Melaleuca alternifolia (commonly called tea tree oil) or many others. Several oils to keep well stocked for whatever emergency might come up are: Innune Support Wellness Blend, Lavender, Tea Tree Melaleuca, Peppermint, ABC, Uplifting Joy, (...Orange oil to help wake you up), Lemon, and Stress Relief Support Blend. There are many others you may want to keep on hand but these are the ones to make sure you never run out of. The most "universal" oil. (When in doubt, use lavender.) It's antiseptic, analgesic, sedative, anti-inflammatory. Burns & Sunburns - Apply lavender oil to a burn and experience almost immediate relief. Also use it to cleanse & soothe cuts or scrapes. Other uses for lavender: to calm and relax, anti-stress, anti-depression, insomnia (just inhale), headaches, PMS, poison ivy and poison oak. I always have at least 2, usually 3 bottles of peppermint. One on my night table, one in the kitchen and one goes everywhere with me in my pocket. I use it for headaches, nausea, motion sickness. For a headache, I put a drop on my forehead and temples. Don't get any in your eyes. You can also make a compress using a washcloth dipped in a bowl of ice water to which a few drops of peppermint oil have been added. Squeeze out the water then lay the cloth across the forehead. Renew the compress often. For nausea I put a drop on my tongue. If I ate something that didn't agree with me, I put 2 drops in water and drink it. Pain Relief - If you bump or bruise yourself, use peppermint to relieve the pain. Put a drop on the area. Has antiseptic qualities, Mood uplifting - Lemon is beneficial for anxiety and promotes a sense of well being. Sore Throat - Mix 1 drop lemon in half glass of warm water. Mix well then gargle. Disinfecting - Use a drop of lemon to disinfect your hands after using public restrooms. Lemon also works well in removing gum, oil and grease spots. Mix a drop in a teaspoon of water & wipe the kitchen counter to kill bacteria (makes the kitchen smell fresh too). Put a couple drops in drinking water to purify. NOTE: Citrus oils are photosensitizing, so avoid applying to skin that will be exposed to direct sunlight or UV light. Uplifting Joy is a "MUST HAVE" anti-depression oils. It will lift up your spirit. Diffuse, put in bath water, over the heart, on wrists, neck, as a compress and dilute with a carrier oil for full body massage. You will love this fragrance! NOTE: Joy has citrus oils in it. Citrus oils are photosensitizing, so avoid applying to skin that will be exposed to direct sunlight or UV light. contains powerful therapeutic-grade essential oils that are invigorating when applied, especially to the chest and throat area. R.C. is a wonderful blend to diffuse during winter. This is the essential oil blend I use the most. I dilute a few drops in olive oil and then rub this under childrens chin and neck area and/or chest. It helps with that runny nose all little ones seam to have due to colds, teathing and allergies. Eucalyptus globulus leaf oil, myrtus communis oil, pinus sylvestris (pine) leaf oil, origanum majorana (marjoram) leaf oil, eucalyptus radiata leaf oil, eucalyptus citriodora leaf oil, lavandula angustifolia (lavender) oil, cupressus sempervirens oil, tsuga canadensis leaf oil, and mentha piperita (peppermint) oil. I keep this one around to protect my family from colds, viruses, etc. This is a must Essential Oil Blend for PROTECTION and WELLNESS. It was created from research about the thieves during the 16th century plague in England who rubbed oils all over their bodies to protect themselves while they were robbing the dead and dying. It is a proprietary blend of pure essential oils tested at Weber State University for its potent antimicrobial properties. This formula was found to have a 99.96 percent kill rate against airborne bacteria. My husband contracted MERSA while he was in the hospital. I discreetly used this blend of essential oils on his feet while he was in ICU. (The nurses just thought I smelled like cookies) Within days His tests came out clear! Essential oils are considered mankind’s first medicine and have been used around the world for centuries to heal everything from burns and cuts to infections and bacteria (see MERSA and other Lab results) and have also been used in religious rituals to treat various physical illnesses and spiritual needs. The discovery of many more usesfor Essential Oils are happening daily! Research dates the use of essential oils back to 4500 BC. According to ancient Egyptian hieroglyphics and Chinese manuscripts, ancient Egyptians were the first to discover the beneficial potential of fragrance, and aromatics. Thousands of years before the time of Christ priests and physicians used oils. The reintroduction of essential oils into modern medicine first began during the late 19th and early 20th centuries. Since that time essential oils have once again taken their rightful place and are now being clinically recognized to kill harmful germs,bacteria,( (MERSA) as well as to spiritually balanceenergy fields effecting our mood, lift spirits, and dispel negative emotions such as our Uplifting Joy Therapeutic Essential Oil Blend. Barbara Elizabeth was fostered by the idea that the earth has provided a good life for all mankind and that the answers to our medical needs can be found in the natural world that surrounds us. Because of this we celebrate the essence of essential oils in integrated medical treatment as well as in day-to-day living.